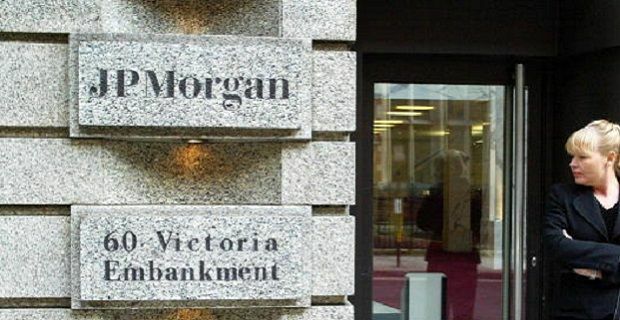 London police are not treating the JP Morgan tech exec’s fall from the bank’s 33 storey Canary Wharf tower as suspicious but they have confirmed the deceased’s name, Gabriel Magee. He was a vice president at JP Morgan’s corporate and investment bank technology department and he had been with the US firm for 10 years. The police were called out at 8.02. They found Mr Magee’s body on the 9th floor roof. He was pronounced dead at the scene after falling to the roof in an incident that the police are classing as “non-suspicious”. According to twitter reports from workers in the tower, the body remained on the roof for quite some time. "The 9th floor roof of JP Morgan is visible from my office window," Hetal V Patel tweeted. "For a long time the body was left cordoned and unattended. Weird. #Wharf." The details of the incident remain unclear but the Mr Magee’s death highlights a growing problem with finance service workers who are feeling the pressure more than workers in other industries. In 2012, an exchange manager for Bank of America jumped in front of a moving train. An intern at Bank of America died last year due to epilepsy in the firm’s London branch and another worker jumped from the seventh floor of his office when the pressure got too great. The JP Morgan building has been the firm’s HQ for European, Middle-Eastern and African operations since 2012.It used to be occupied by Lehman Brothers who went bankrupt in 2008. At the time they were the fourth-largest investment bank in the US so their demise is often considered a contributing factor in the subsequent global financial crisis. Interested in working in IT consultant jobs in the Midlands?